About Carl Steele Associates, Inc.
Our firm encompasses all aspects of interior design including architectural details and execution. We strive for quality, fine craftsmanship, attention to details, and continuity. We utilize a wide range of styles both traditional and modern. 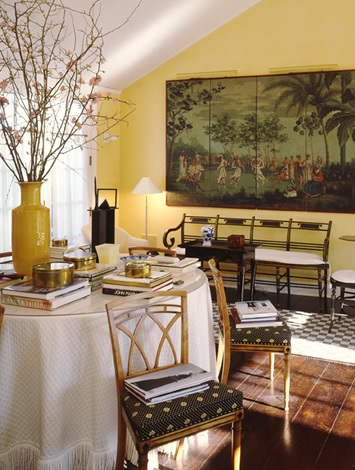 Antiques and contemporary furniture coexist happily. Our goal is to produce a result that is timeless, livable, and with understated elegance. At the same time, we keep in mind the client's personal taste and lifestlye in which their art collection and entertaining are important. Copyright © 2017 Carl Steele Associates, Inc. All rights reserved. Reproduction in whole or in part in any form or medium of any part of this web site without express written permission of Jonathan Bassman Interior Design, LLC. is prohibited.